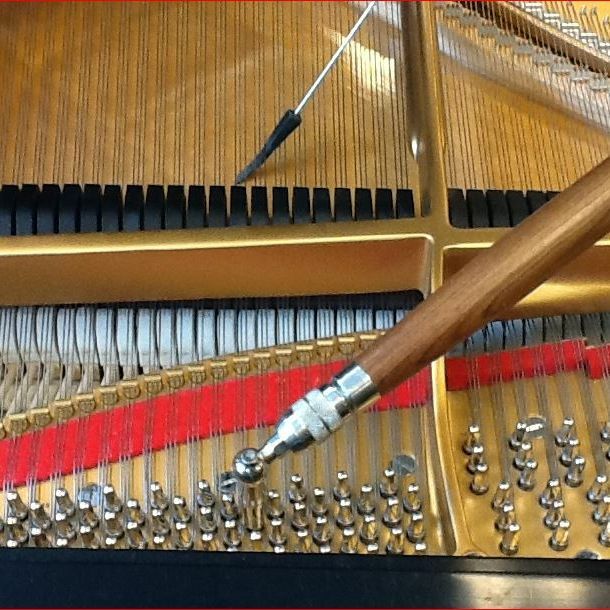 Mihopulos Piano Tuning provides professional piano tuning and repair for the citizens of the Milwaukee WI area. 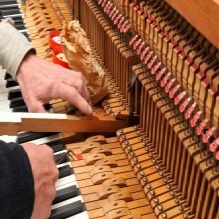 For over 30 years Mihopulos Piano Tuning has offered high quality piano tuning services. I have trained at the Steinway Piano Factory in New York in various degrees of piano maintenance, from concert tuning to complete regulation. Currently I am the principal piano tuner for the Milwaukee Symphony Orchestra, 3 universities, school systems, hotels and service pianos in homes. If you are interested in repair or rebuilding I will come to do an evaluation for your needs. I am a certified player system installer and technician for QRS and Pianodisc. A piano that receives regular tuning and maintenance remains a pleasure to play for many years. Keeping your piano in tune not only encourages your family to enjoy music in your home, but regular piano tuning and maintenance can also protect your family, school or church piano investment from the wear and tear of neglect. Regular tuning will ensure an enjoyable playing experience each time you play. Action regulation: file hammers, adjust all screws-springs-hammer line-let offs for crisp feel, lube all flanges. Install QRS player systems, repair both QRS and Piano Disc systems. This is a player piano system that pushes the keys with electric solenoids. The system duplicates the performers dynamics. It is controlled wireless from your iPad, phone or computer. Install Damp Chaser climate control systems. This is a system that adds or takes away moisture to the sound board. The goal for the humidistat is to keep the moisture content level at 45 percent. With less flexing of the wood it helps keep the piano in tune and gives better life for the sound board, bridges and ribs. 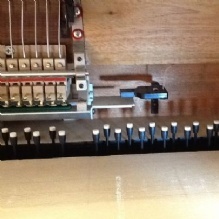 On a vertical style piano the action also gets the benefit because it's in the same chamber. Mike provides meticulous detail and care. My old piano is now renewed and sounds totally different than it did before. Honest evaluation, not pushy. Technically the best. My favorite part is listening to his playing at the end! Highest of recommendations! Mihopulos Piano Tuning © All Rights Reserved.